You might have spent hours standing in front of the closet, thinking what to wear today. Don’t worry, you are not alone in this, we all have been there! This question arises when your wardrobe is cluttered with a variety of clothes but nothing makes sense. To tackle this problem, reducing your closet down to basic wardrobe essentials that are organized in an easy to access manner can be very helpful. When your wardrobe is based on basic essentials, you will not have to go through tons of pieces every morning to decide what to wear. These basics can be mixed and matched creatively to form a new outfit every day. Pick a basic top and pair it with your trusty pair of jeans and you are ready for the day. Feeling fancy? Add a textured jacket to amp up your outfit of the day. As your wardrobe consists of carefully selected basics that you know looks good on you, your clothes will make you look good and feel confident throughout the day. When you know can’t go wrong with a certain piece of clothing, you can wear it to most places with without having to spend hours on deciding what to wear. Here, we saved you some hours. You can thank us later! 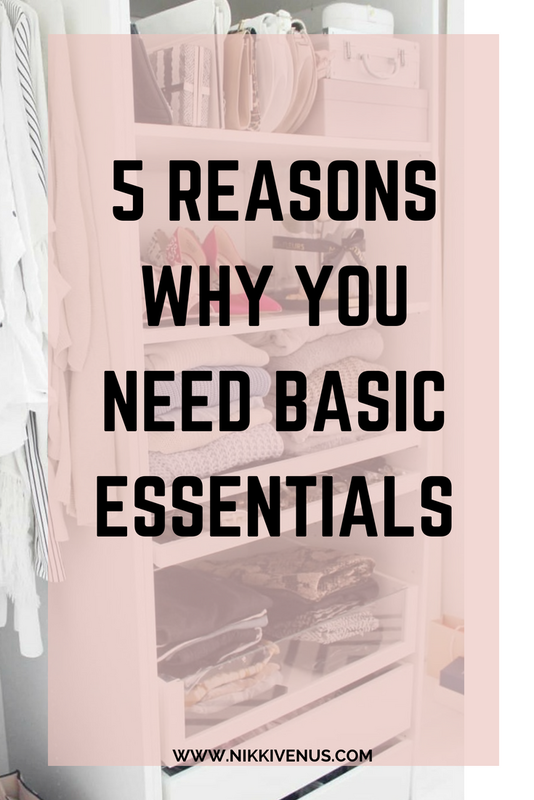 The best part about having a basic wardrobe is that you will not have to spend hundreds of dollars buying clothes every season as layering up basics in different ways can get your through the year easily. This will not only save you a lot of moolah but also a lot of time. Your bank account will thank you for this, we bet! The fewer clothes you own, the easier it will be to manage and organize them. All you will need is a day to clean and organize your closet completely and make your life hassle-free. A less cluttered closet can also bring a lot of positive changes in your mind that can help you stay focused and clear throughout the day. We definitely need that, do you? The simplicity of sticking to the basics and feeling confident in the clothes you actually love will positively affect your personality and everyday life. It will not only make your life easier but also make you value the clothes that you own.